Florida is one of only nine remaining states that do not yet have an effective child restraint law for children but a bill proposed by State Rep. Keith Perry, R-Gainesville is trying to change that. House Bill 225 would require that children in cars be placed in a booster seat until they are at least seven years of age or 4 feet, 9 inches tall. Safety experts have long known that graduating a child from child safety seats to seat belts too early can be life threatening to the child. 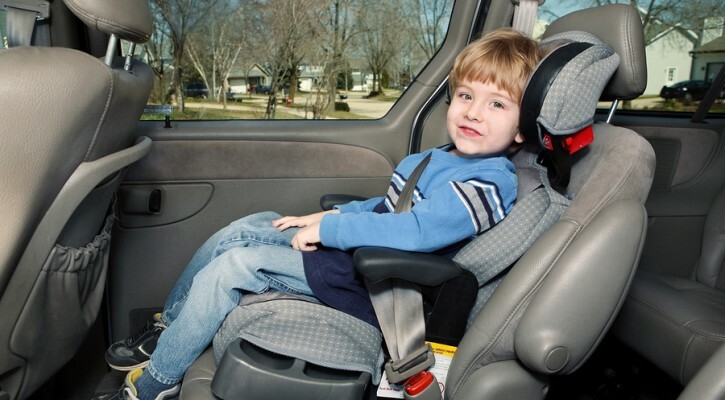 Since the late 90s, the Insurance Institute for Highway Safety has pushed for stronger laws requiring that children who outgrow their child safety seat (usually at age 3 or 4) graduate to a booster seat rather than seat belts only. The problem is that seat belts tend to ride up on small framed children and, rather than restraining the child by pushing against the hip bone or sternum in a crash, the seat belt can cut into the soft tissue of the abdomen and cause severe injuries. Placing the child in an approved booster seat increases the child’s height relative to the seat belt and properly positions the seat belt to provide maximum protection to the child. In 2001, five states passed laws requiring the use of booster seats for older children. Currently, 42 states have some sort of law requiring use of booster seats. In 2002, President Bush signed a law requiring that the National Highway Traffic Safety Administration (NHTSA) develop performance criteria for booster seats to help parents choose the correct booster seat for their child. The IIHS recommends that children remain in a booster seat until they are at least 4 feet, 9 inches tall. Among the states that have passed booster seat laws, at least 21 list that height requirement before children can graduate to seat belts. In 2001, the Florida legislature passed a bill requiring the use of booster seats but then Governor Jeb Bush vetoed the bill stating he didn’t want tourists who were unfamiliar with the law to be ticketed for failure to comply with the law. In 2011, the Florida Senate passed a bill requiring the use of seat belts but the measure died in the House. Often with auto safety measures, people tend to ignore or are unaware of the dangers until the measure becomes law. Once mandatory seat belt laws were passed in all 50 states, the rate of seat belt use increased from 75% to 85% between 2002 and 2010. NHTSA has credited the mandatory seat belt laws with saving an estimated 11,949 lives in 2011.